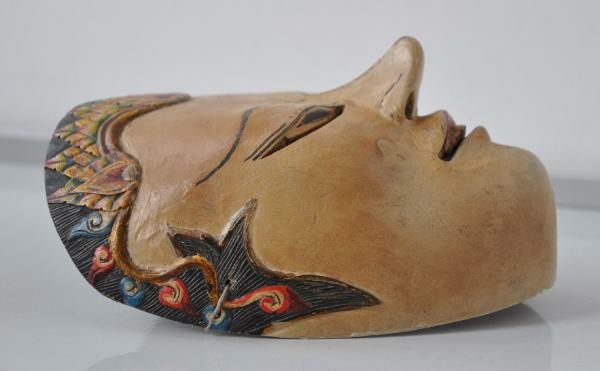 This signed mask is of hand-carved wood and decorated with polychrome paint. It is of Prince Panji, the hero of the Panji cycle of stories. Prince Panji represents the ideal of the halus (refined) hero. 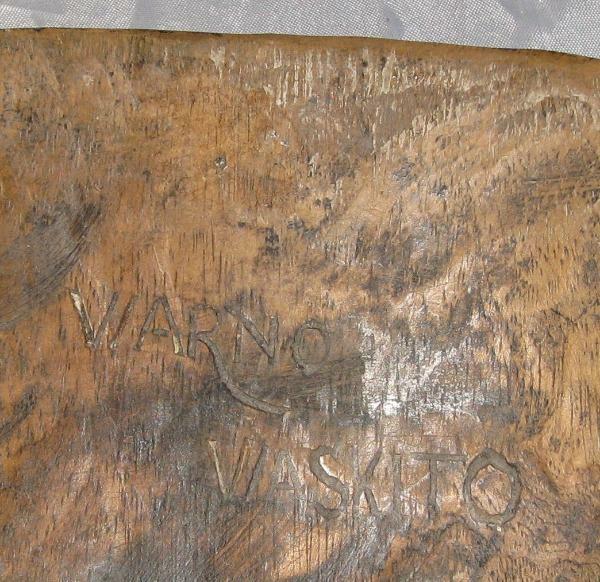 This mask is signed on the reverse, ‘Warno Waskito’. 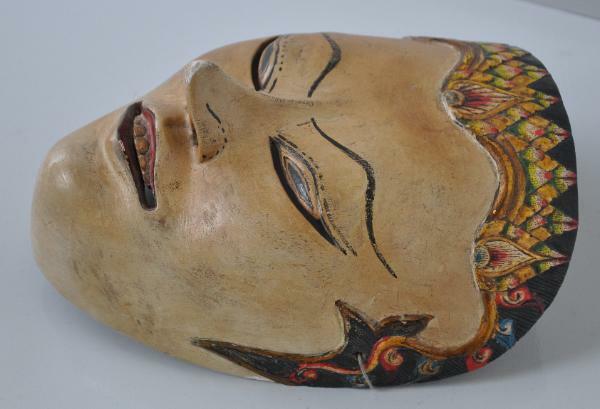 This maker was a famous Javanese topeng mask carver in the second half of the 20th century. 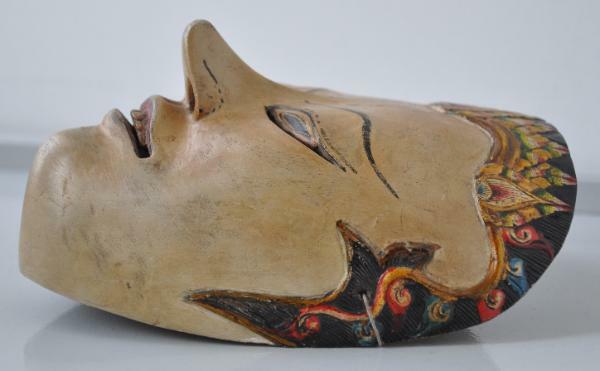 Signed topeng masks by well-known makers are relatively rare. 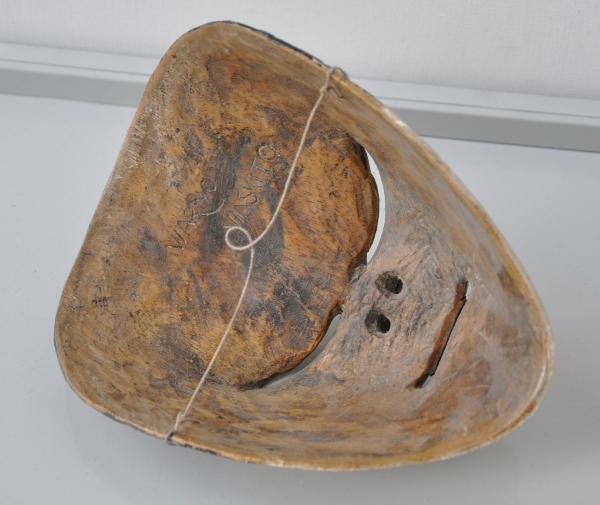 Dance masks were held in place by the dancer by gripping between the teeth a textile strip attached to the reverse of the mask. It was felt that through this strip, the spirit of the character could enter the dancer’s body. 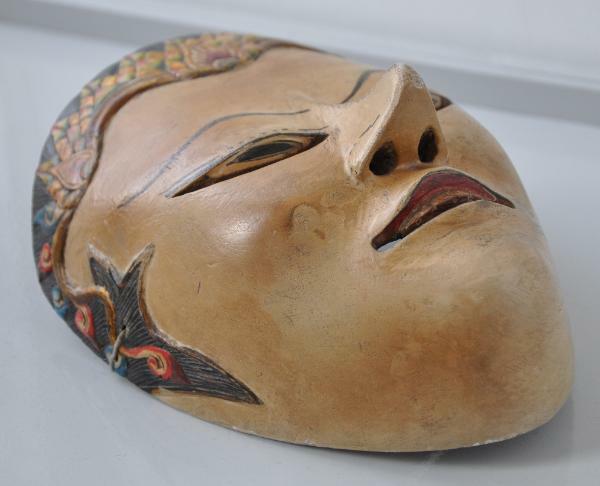 The gedhog stories of East Java form the core of the topeng repertoire in which Prince Panji features prominently. He is the counterpart of Arjuna, the princely hero in the Hindu epic, the Mahabharata. 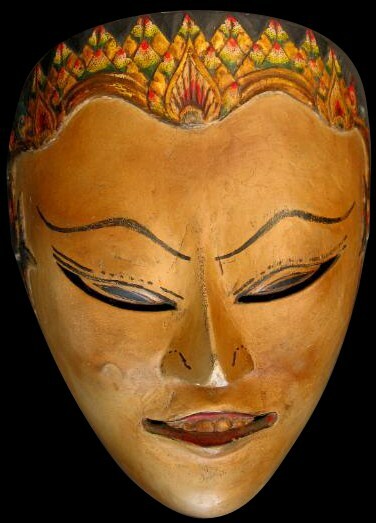 Topeng dance is said to have been introduced to Java by one of the nine wali sanga (Islamic saints) who introduced Islam to the Indonesian archipelago during the sixteenth century, along the north coast of Java.